Joanne and Charles met in a frenzy of violence and drugs in 1973. That day students, hippies, and bikers descended on the town of Breckenridge, Colorado for an incident that would change the country. The secrets of that night helped seed the founding of a well-funded and intensely anti-American and anti-Christian pop religion. The People’s Group, as they became known, harbored deep and hateful mysteries that Charles would bring to light only as he struggled to protect his daughter Sarah from the movement that consumed his wife and so many other Americans. But would he be too late? From the revelations concerning liberal trendy cults like NXIVM, to the anti-family rage displayed on college campuses, Fake News editorial boards and in the streets daily across the country, UponUS puts the current madness and its history into perspective in a fast-paced and emotionally charged American novel the neo-fascist progressives don’t want you to read. The year is 1944. Near the White House, the Vice President's aide is inexplicably murdered in the middle of an investigation. The Secret Service thought they were tailing a simple mole. Instead, the aide's dying breath implicates Vice President Henry Wallace as the leading Soviet spy. The stakes are raised when Wallace becomes President upon FDR's death, fulfilling a prediction made by the Sleeping Prophet, Edgar Cayce. Adept at the spy game, Wallace comes to realize that he is locked in a deadly war against a nameless group that knows his every move and believes he is a traitor. But Wallace can’t distinguish between old allies and new enemies. He is playing a double game with the Soviets that brings him to the edge of treason. Wallace can only save the world from nuclear annihilation if he steps further into the darkness of Cayce’s cryptic prophecies. Yet in so doing he risks his own assassination and unleashing forces greater than his or the enemy's militaries can handle. 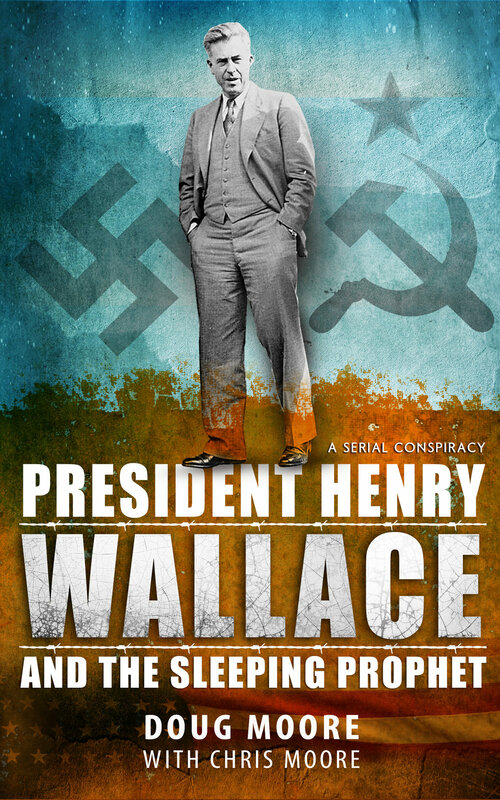 In a break from the traditional suspense novel, Henry Wallace and the Sleeping Prophet reimagines WWII, culminating with a Commander in Chief bent on avoiding nuclear confrontation at all costs. At the same time lightning paced, highly plausible, and meticulously researched, the novel proves to be tough to put down and stunning in its conclusion.